The finest, fresh Atlantic Salmon is slowly smoked over smoldering oak shavings from aged whiskey barrels! The result is an amazing, sweet flavor in the tradition of a Scottish Highland cure. Each hand-trimmed fillet weighs approximately 3 lbs. 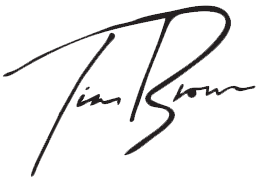 We start with premium quality Atlantic salmon. After hand curing the fresh fillets with a mixture of sea salt and brown sugar, we smoke the salmon in our log-burning kiln with a distinctive beech wood smoke for a medium to rich flavor. Each salmon fillet is then hand-trimmed. Fillets weigh approximately 3 lbs. 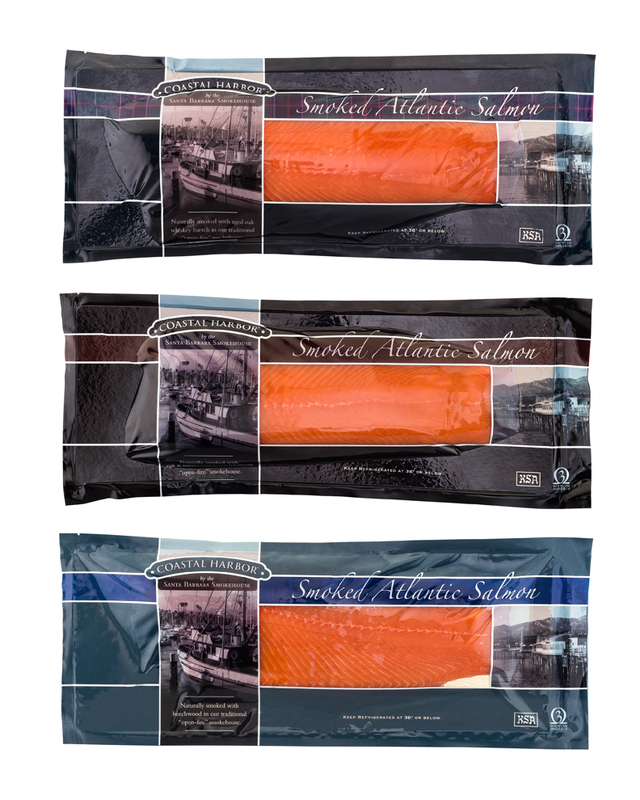 Using premium quality Atlantic salmon, we delicately cure and open-fire smoke with oak & beechwood. Hand-trimmed fillets weigh approximately 3 lbs. artisanal curing and smoking methods. 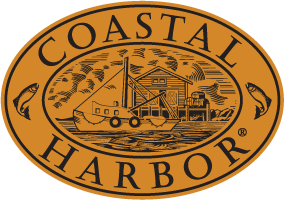 "My goal for the Coastal Harbor® was to create the best mid range smoked salmon in the world, at the best price. I like to think we have done that!"